Who is Jesus? Overwhelmed by the confusions and contradictions and divisiveness of the religious world? Why can't we get along since many of us claim to know the source of truth and justice and peace? 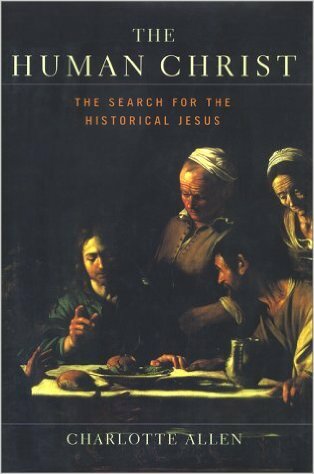 Wondering what historians have to say about Jesus and Christianity? Interested in scholarly history of ancient times narrated with lucidity and suspense? Then try this triple play of well-written historical studies on Jesus and disagreeing early Christian groups--how followers, politicians, and the general populace saw, interpreted, and/or distorted the Messiah. One of the finest books on Christianity and its central tenets ever! 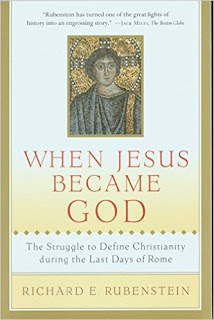 Ehrman’s most powerful and exciting powerhouse—lucid, insightful, perceptive, balanced, and personable. The book explains complicated history and deciphers difficult theology and shows how creedal dogma developed in the Christian religion. What's also great about this book, is that Ehrman doesn't seem to have any particular ideological axe to grind (unlike so many books on religion, harshly pro or con, including several of Ehrman's own previous works which were sometimes abrasive). 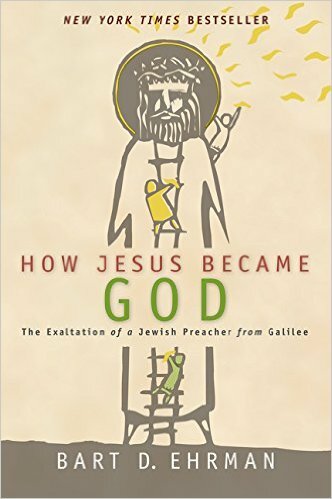 His voice in How Jesus Became God is balanced, and he seeks to be fair and objective in his historical analysis. A brilliant scholar, textural critic, and religious commentator, the author is the James A. Gray Distinguished Professor, University of North Carolina at Chapel Hill. Ehrman is a former evangelical Christian who now describes himself as an agnostic who admires and seeks to follow Jesus' ethical truths. Every penny earned by his blog goes to support charities who "fight poverty, hunger, and homelessness." Very powerful historical/theological/political study of Christendom from 200 CE to 600 CE. 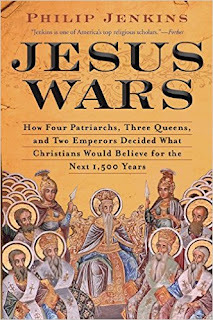 Even though the history, politics, and theology are complex and so very many church and empire leaders are involved in all the convoluted, theoretical controversies and battles, Jenkins lucidly brings us through to the end. Then he explains, how all the intolerance, torturing, and slaughtering of Christians by Christians was much worse than the later Roman Catholic Inquisition. Christians killed each other in the name of Jesus fighting over one letter's difference in two words--"homoios (similar) versus homos (same) when it came to the nature of Jesus. Jenkins is Distinguished Professor of History at Baylor University, formerly Edwin Erie Sparks Professor of Humanities at Penn State University. He is an Episcopalian Christian. 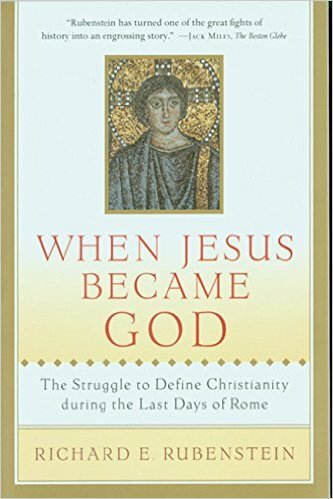 While Erhman's book covers several hundred years from Jesus's life to the Nicene Creed, Rubenstein's book focuses solely on the Council of Nicaea and related historical events in the 4th century. 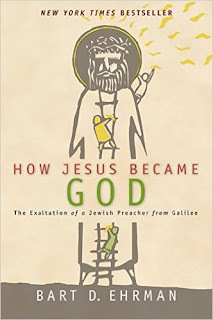 When Jesus Became God is a good follow up study and continuation of How. Rubenstein presents a somewhat balanced historical treatment of the conflicts of opposing Christianities at the time of Nicene in the Christendom of the Roman Empire under the Emperor Constantine. A reader will learn much, about the tragic details of the caustic conflict and warring of Christians against each other, against Jewish people, and against Pagans. The author is Professor of Conflict Resolution and Public Affairs at George Mason University, has degrees from Harvard College, Oxford University (a Rhodes Scholar), and Harvard Law School. Rubenstein is Jewish and active in promoting peace, equality, and social justice. Too bad there isn't a 4th base in baseball;-), because I would actually like to recommend another historical book (The Human Christ by Charlotte Allen, which is a study of the "quest for the historical Jesus"). There's Zen, and then there's Zinn--"To Be Hopeful..."